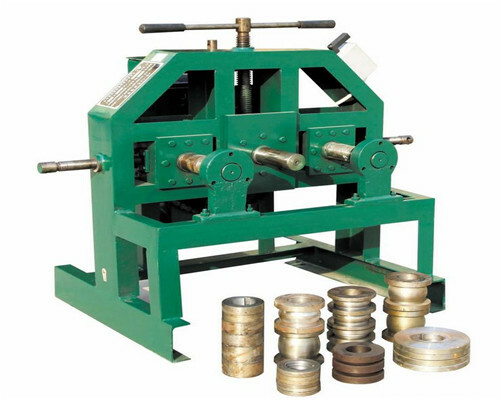 Metal twisting machine is an essential metal craft tools in wrought iron industry. And we could also call it metal craft twisting basket machine instead.This wrought iron machine is mainly used to twist metal material like square steel and round steel. These steels can be twisted into twirls used widely in decoration industry, furniture industry, municipal gardens and construction industry. Our Ellsen metal craft twisting machine for sale has acquired many great achievements since it came out to the market. There have three different types of wrought iron metal twisting machines produced by our Ellsen factory. 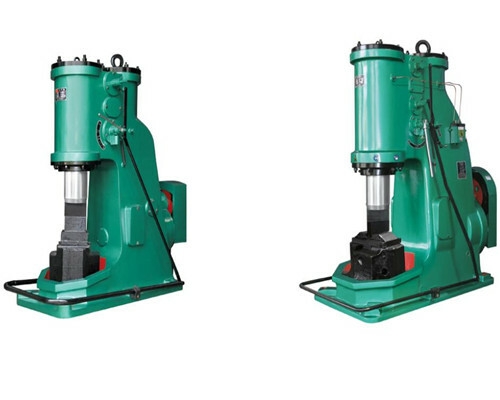 EL-DN25C, EL-DN25D, EL-DN25E program controlled torsion and twist machine. 6 sets dies is for square steel and dies’ diameters are 25x25mm, 20x20mm, 18x18mm, 16x16mm, 14x14mm, 12x12mm. 3 sets dies is for flat iron with diameters 30x8mm, 20x6mm, 16x4mm. 6 sets for square steel: 25x25mm, 20x20mm, 18x18mm, 16x16mm, 14x14mm, 12x12mm. 3 sets for flat iron: 30x8mm, 20x6mm, 16x4mm. 4 sets for flower basket shape: 2 sets dies with diameter 16x16mm will get finished basket with size H150xW80mm and H140xW70mm. Other 2 sets dies with diameter 12x12mm will get finished product with size H130xW60, H100xW50. 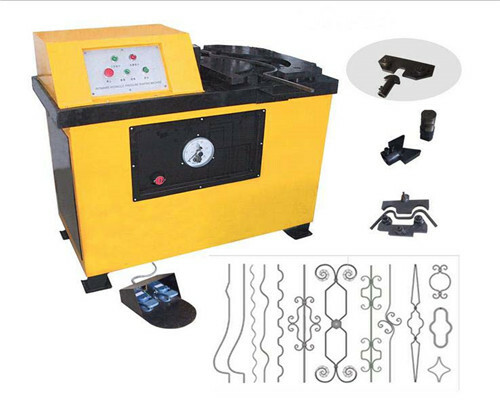 It is easy to operate our metal craft twisting machine. 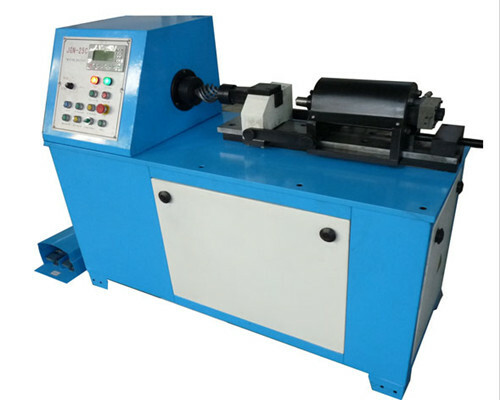 It is very convenient to change the dies of metal twisting machines. 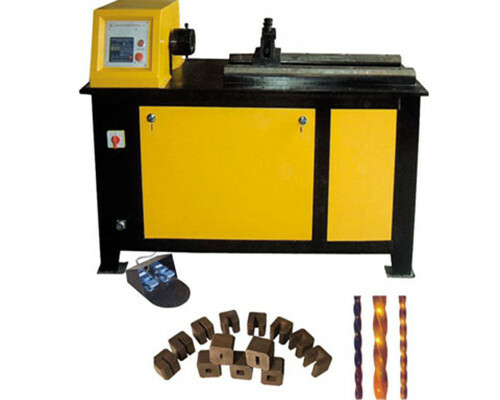 Our metal twister machine is of stable performance. It has both manual control and foot pedal. Ellsen twisting wrought iron machine is with high work efficiency. Our Ellsen EL-DN25C metal twister machine is suitable for the ornamental iron fabricators who have no need to complicated decorative products. 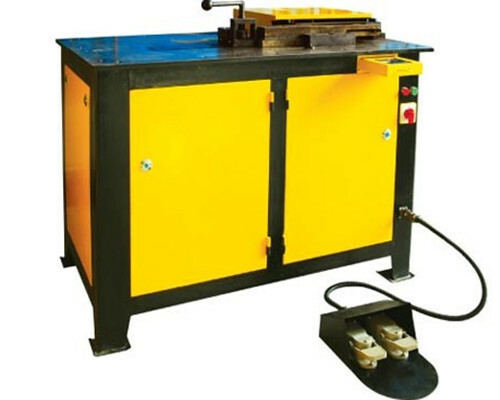 This twister machine is able to process square steel and flat iron into undulating forms. Furthermore, the horizontal design of this metalcraft twister allows longer twists to come true by adjusting twisted section. And there is no need to heat the steel bars before processing them. Manual/auto switch and foot pedal, so it can return original point automatically. The program operation panel shows numbers clearly which is easy to operate. Our EL-DN25D basket twisting molding machine has emergency stop switch to ensure security during operation. Our Ellsen EL-DN 25E two in one basket twisting machine has the same functions with EL-DN25D. This difference is that the motor power of EL-DN25E is 3KW, yet it is 4KW for EL-DN25D. The structure of EL-25E is much simpler. 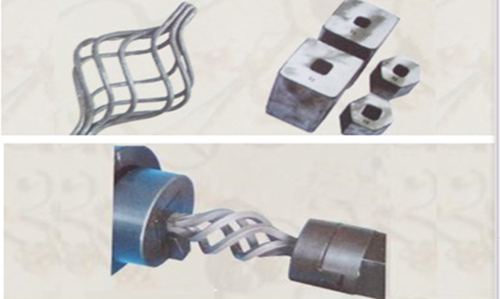 It follows that our Ellsen metal twisting machines enrich ornamental iron industry greatly. 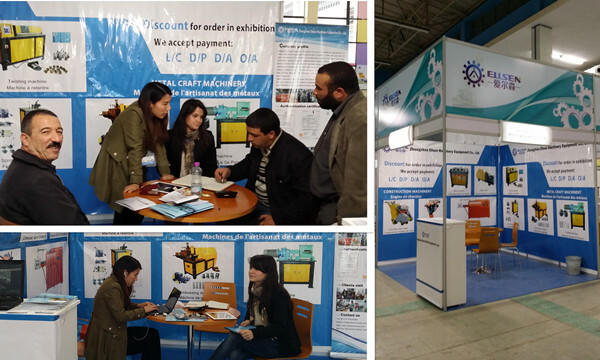 Without doubt, it brings diversification and creativity to decorative products. 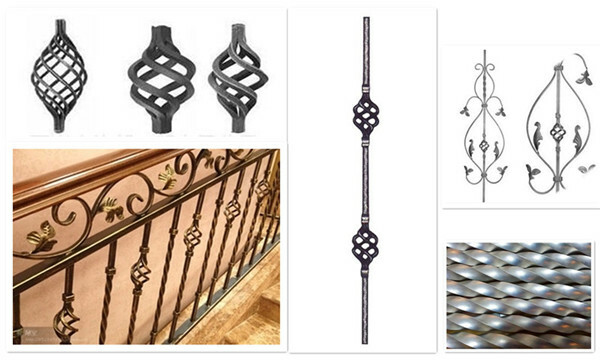 You could twist steel bars into ornamental spiral patterns by wrought iron twisting machine in cold condition. There is no need to heat the steels. The torsion and twisting can be not only manually controlled at two different speeds, but also automatically in the clockwise or counterclockwise rotation. Wrought iron twisting machine is program controlled. So it can produce twirls automatically and repeatedly which is good for mass production. Ellsen metal craft twisting machine also ensures a good consistency of the products for its programmable control. 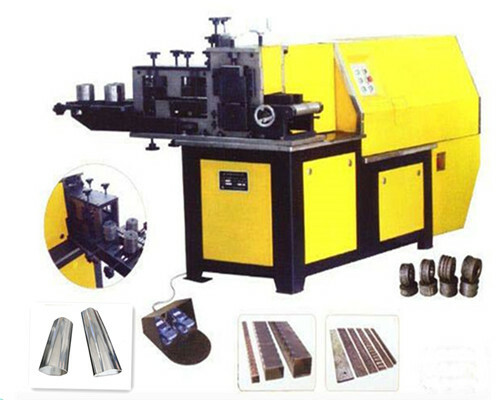 It is very easy to change molds of metal twisting machine, only need 2-8 seconds. This saves time a lot. Its work ability is strong. And it could twist square steel with maximum diameter 25x25mm. Our wrought iron twister machine is able to twist steel with length 200-800mm, even more than 800mm is workable. 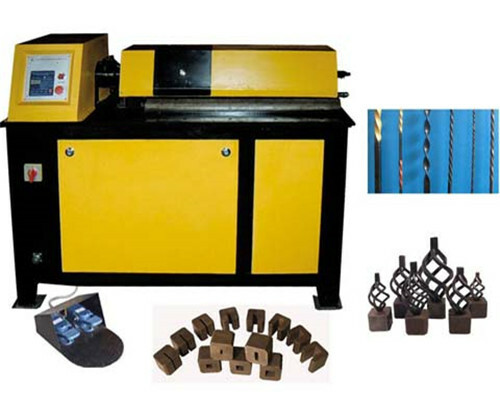 Our metal craft twisting machine has high production efficiency. It processes 400 pieces of square per hour. It would bring a lot of profit no matter in cost, time, labor and working efficiency. Ellsen metal twisters machine will contribute to the companies who engaged in ornamental iron products. If you own one of our metal twisting machines, you can reduce time and money a lot. Wrought iron twisting machines are easy to operate. Only one worker can operate it. So the labor cost goes down. 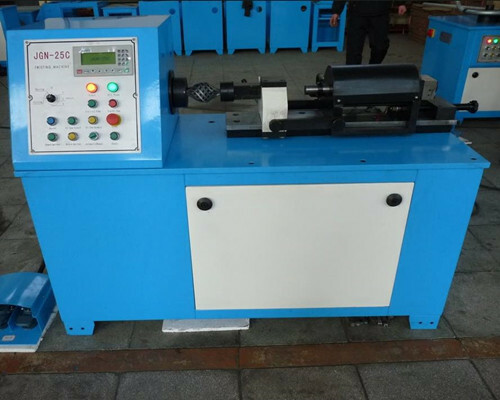 Our metal twisting machine works at adjustable speed, you could control it as your need. The twisted products produced by our metal twisters have artistic looks. 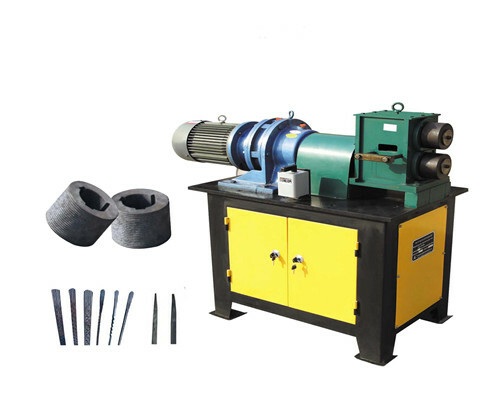 We are responsible to send the metal twisting machine for sale from our factory to buyers’ destinations. 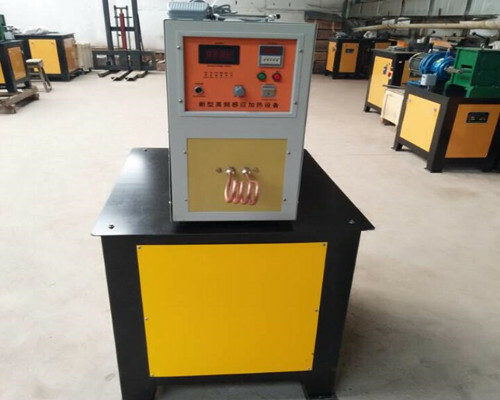 For foreign clients, we will pack up the metal craft twisting machines with cartons and wood frame, even wood cases if necessary. This ensures no damage during shipping. For the delivery, if the customers have their own shipping agent, we could send our wrought iron twisting machines to this agent. If don’t, we will recommend our own shipping agent to arrange the delivery by less charge. 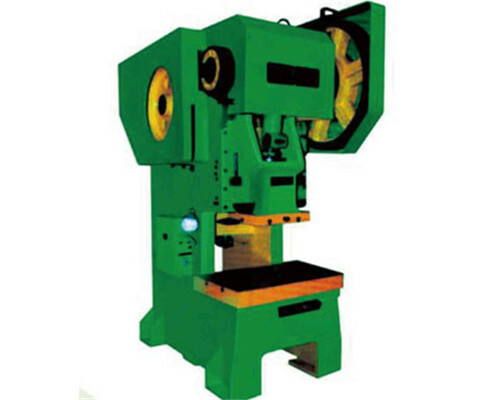 Operators are obliged to read manual of our wrought iron metal twisting machine carefully to avoid some problems. 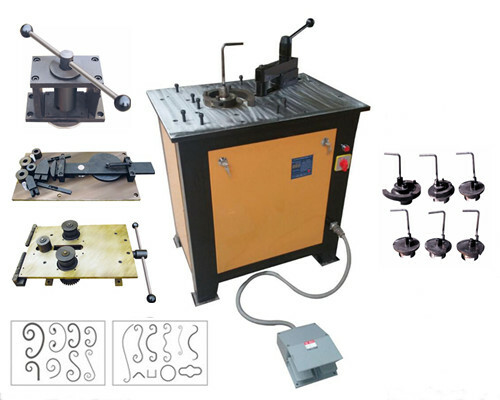 We could offer free training service about how to operate the wrought iron metal craft twisting machine in our factory. For foreign clients, we could arrange our engineers to go abroad to offer service. We offer one year guarantee including spare parts of our metalcraft twisting machines. Whenever you meet problems, our professionals will answer you at the first time. Our skillful engineers could offer door to door service even in foreign countries. For wearing parts of our metal twisting machine, we would send to clients for free.